The startup company plans to use the money for developing organic printed electronics. Plextronics said Thursday it has raised an equity round of $14 million to commercialize its technology in the LED lighting and solar markets. The Pittsburgh company is developing a process to deposit a thin layer of carbon-based conductive material to form the electrical layer in electronic products. Plextronics is working on the materials as well as the manufacturing process, which is often described as akin to "printing" electronics. The company is focusing on making organic solar cells and organic light emitting diode (OLED) products. Print electronic technology promises to deliver low-cost products. 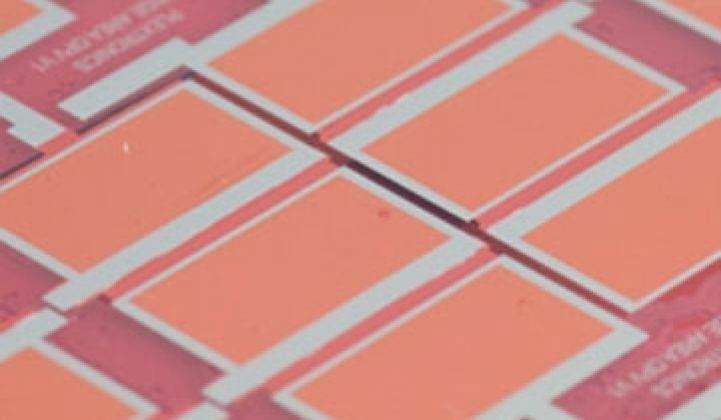 Organic solar cells or LED lighting would use organic compounds for form the electrical layer rather than conventional materials such as silicon. Founded in 2002 as a spin-off from Carnegie Mellon University, Plextronics has relied on conductive polymer research by Richard McCullough. Organic solar cells have a big draw back: They aren't able to convert as much sunlight into electricity as a slew of other types of solar cells available on the market today. They also degrade and wear out faster. A similar promise and peril dichotomy exists with OLEDs. Thin OLED panels could be deployed to turn an entire wall into a light figure. OLED TVs, one day, may consume one-third the power of LCDs and be far thinner. But current models are plagued by high costs, technical issues and durability questions. In a research paper published the Journal of American Chemical Society last November, researchers at the University of California at Los Angeles said they figured out a way to produce a more conductive polymer for solar cells. Those cells had 5.1 percent efficiency. In comparison, commercial silicon cells already have achieved 22.5 percent efficiency. There is no shortage of companies hoping to develop commercially viable organic solar cells. One of the better known players is Konarka Technologies in Lowell, Mass. (see Konarka Claims 1GW in Organic PV Production and Konarka Gets $45M From Total). Earlier this month, Plextronics said it has teamed up with the National Renewable Energy Laboratory to field test solar panels sporting its organic cells. The company claimed this was the first set of organic solar panels ever deployed at NREL. Solvay North American Investments led what Plextronics said was a B-1 round. The investment firm is part of the Solvay Group, a chemical and pharmaceutical company based in Brussels. Plextronics raised the initial B round in 2007, when it lined up $25 million.